Kalimpong today saw a massive rally and later a meeting under the banner of Khas Bhartiya Hitkari Sammelan, Kalimpong sub division committee which has been demanding the ST Status from last 2-3 year .The massive turnout today in town was to give a clear message to State and Central government as to how the community are united in demand of Tribal Status. The rally started from Mela Ground which encircled the whole town and later turned into a meeting which was given the name of 'Khas Hitkari Jagran Mahabhela'. Santosh Kharga , youth Cordinator of Sammelan today addressing the meeting said if we have not been given tribal status in coming few month or we are left out , then now the time has come to become factor, 2016 and 2017 we will have to be a factor, there are 261 booths in Kalimpong and approximately our presence is around 45 thousand . Hinting that the community will be a great polictical factor in 2016 State assembly polls and 2017 GTA polls Kharga said our main aim is Tribal Status and who ever party gives us we will go towards them leaving a clear message.He said if we did not get ST status or on being left out he appealed to 7 Khas member of GTA to resign and come forward for this demand. 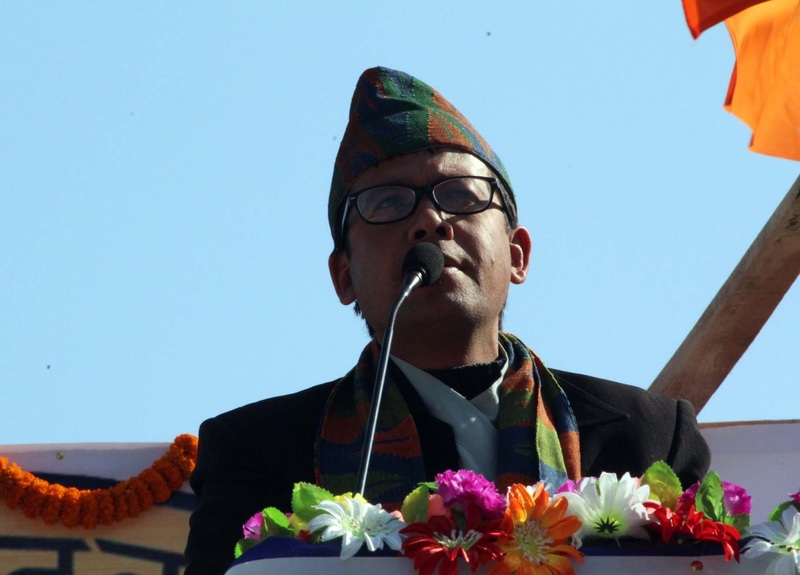 He even appeladed Dr Harka Bahadur Chettri ,MLA and khas community member to come forward to carry this demand. Enthusiastic Kharga said now the youth wing will carry Dours Going Abhiyan. We will make our organization more large and strong. We fulfilled all the category to qualify for ST status. We are hungry and Thristy. Even our community people need upliftment he added. 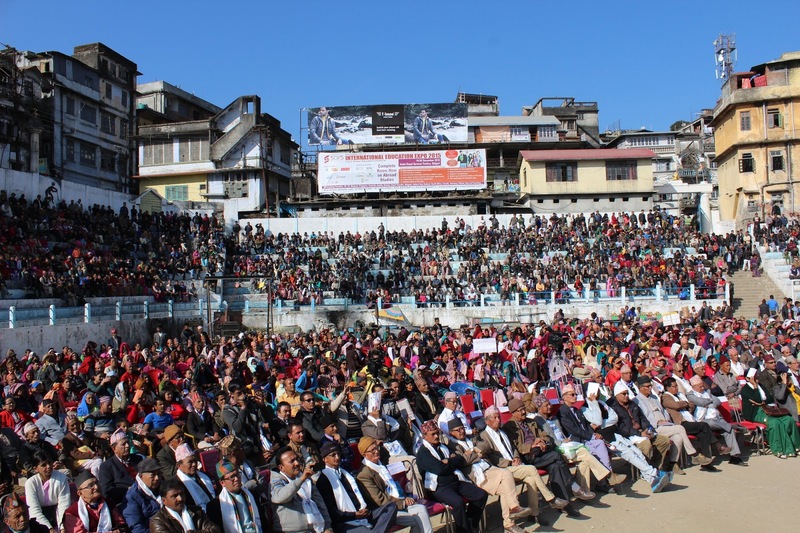 The program was presided by NK Kumai, president of Kalimpong Subdivision committee and while R P Niroula president of Central Committee was the chief guest. The leader while addressing said that the community has been deprived and need up liftment . Prof Kumar Chhetri, Bhuwan P Khanal, Raju Betwal , Nitu Chhetri addressed the gathering which saw Sangini , Khejide , folk dance. 0 Respones to "Khas Mahabhela demands ST tag, Ready to be factor in 2016/17- Santosh Kharga"